Hey, Folks, I am here to discuss Best WiFi Routers for Home use and Office. I will also share with you Which Wifi router is best and How to connect wifi router. A wireless router is a device that performs the functions of a router and also includes the functions of a wireless access point. It is used to provide access to the Internet or a private computer network. Nowadays with the increase of demand for Internet connectivity, there is a great increase of wifi modem demand in the market. So there are lots of wifi modem and routers are available in all price range, vary from Rs 500 to Rs 50000 and more. You can also choose it according to your need and budget. There are lots of renowned company manufacturing these routers like Cisco, TP-Link etc. Here I will tell you how to select the best wifi router in your range and I am also listing some cheapest wifi router in India. Basically, a wifi router is used to connect a single internet connection to multiple devices through a wireless connectivity medium. There are many models with different configurations are available on the basis of speed, range, and other issues. Lets here discuss what type of wifi router you need and how to easily setup wifi router. Before we go ahead and discuss various routers, make sure you check your existing internet service provider is compatible with the router you are aiming to purchase. For example, almost all popular ISP such as Sify, Tikona, I-ON, Airtel, Reliance, GTPL and other provide fiber-optic internet connection that goes to the Ethernet LAN port of the router or directly to your desktop computer, technically for that you need to buy an “ADSL” router. On the other side telephonic line based internet service providers such as MTNL and BSNL require you to use non-ADSL routers. It may sound a bit difficult to understand for the first time. But don’t worry, I’ll explain in detail about both types of routers. Xiaomi is the Chinese electronics manufacturing company that excels in offering top-end electronics items at a budget price. In the smartphone market, it takes a huge market share. If you are in search of a premium WiFi router within the budget of Rs 1500, it is the best router you can buy. The Mi 3C Router supports a speed of 300 Mbps. For an increased range and efficiency it contains 4 antennae. Whether you want to share the internet connection or want to set up a home LAN, with minimum latency and high speed it can be the best solution for your home connectivity. D-Link is a popular brand of Wi-Fi routers. The D-Link Dir 600M is the premium Wi-Fi router that provides you top end performance at a budget price. It supports maximum network speed of 150 MB. With the presence of 4 ethernet ports, the router can be used to connect 4 different systems with the help of a LAN cable. The setup is easy and it provides you full control over the network. You can add mac filter and high security to the Wi-Fi. The device also supports a repeater mode that lets you use it for extending the range of existing network. Fast network speed and high coverage area make Netgear N300 a perfect choice for your home WiFi network. It provides a perfect solution for connectivity in your home. It can be used for high-security WiFi connection. Also, it can be used to create a LAN network. This router comes with LED indicator for power and Link Activity. It is a high-security router with NAT and SPI Firewall. It has 300 Mbps speed which is enough for any kind of video buffering, downloads and games. The home wifi router has some specific needs. If you are looking for a Wi-Fi router that you can use for easy internet sharing in your home, the TP-Link N450 is the best option you can go for. It supports high connection speed of 450 Mbps. If you are using services like VoIP, HD video streaming on a smart TV and other bandwidth-intensive apps then you need a high-speed connection. A low-speed router can result in a bad experience. This router also gives you the option for individual bandwidth control. 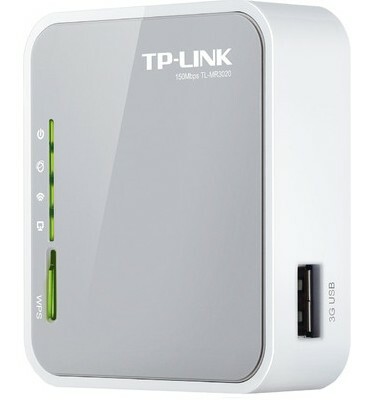 TP-Link Wifi router has a high speed of 300 Mbps, the router is very easy and quick to install. The frequency band on which it works is 2.4 GHz, with WAN and Lan connectivity of RJ-11. Some internet connection requires RJ-11 connection, in that case, the RJ-45 port router becomes useless. If you are looking for the best ADSL2+ Modem Router, the TP-Link WiFi router is the best option for you that is also within the budget of 1500. This has a modern design and high speed. Whether you are using mobile, laptop, gaming console or a smart TV, it can be used for all. WiFi now becomes necessary and now with portable wifi routers, it is very easy to access wifi at any place. Now you can carry your wifi device and can make any place accessible to WiFI. This wifi router has very sleek and compact design which is necessary for any portable wifi router. It has 3 operational modes, 3G/4G router, a Travel router, and WISP Client Router. You can select the mode with the toggle switch. You can also control bandwidth according to IP and can allocate a specific amount of bandwidth to a particular PC. It has a high speed of 150 MBPS and you can connect it with any 3G/ 4G USB dongle. That is very easy to set up. It comes with 3 years of Warranty. There are few things that matter’s you to select Best Wireless Routers. Here I am Explaining some important points. While buying a wifi router, first most thing that we need to consider is its frequency bands, in wireless communication the most general use frequency is 2.4 GHz, but this band is congested with home-based transfer traffic. So you need a router that can work with other frequency also. Like we have a higher frequency band of 5GHz if a wifi router can work in both bands. Then according to me, that wifi router is best. It is usual that all wifi router has default IP of administrator i.e 192.168.1.1 and they have same password fi.e admin. SO its very easy for anyone to enter in admin panel by breaking your security easily. They can easily access your network and can steal your important information. SO it is necessary that a wifi router should have different administrative IP and has good security options inside. But there is a problem of channel overlapping. So a wider band selection is more suitable. Like in 2.5 GHz, you can make 3 non-overlapping channels but in 5GHz you have a wider band with more number of channels that do not overlap. Speed usually refer to how fast it can transfer data. So we need a wifi router that can have high data transfer rate. Wifi router with 300 Mbps to 1200 Mbps and more are available. We need to chose it according to our requirements. The wifi router range is referred to the area in which this Wifi router will work perfectly. So it’s good practice to check router range before purchasing it. Wifi router with a range of 150 feet to 300 feet is available. You need to select this according to your area requirements. Internet connectivity and LAN (Local Area Network) for resource sharing from different computers. Provides wireless internet to devices like laptops, tablets, smartphones, etc. Also, provides non-internet based wireless connectivity to wireless-based devices and home appliances, like a wireless phone, microwave, AC, etc. Helps in making VoIP calls, etc from smartphones. We can connect to digital TVs as well. So these are the best wifi router in India with an affordable range of Rs 1500. They are suitable for all type of operations, you can use these routers at both home and office. There are portable wifi routers also. So you can carry a network wherever you go. You can select from these above List of best WiFi router in 1500 Rs. For this, can you share your recommendations? Will you please explain, exactly how many devices you need to connect and How much network range you need for this. Hello Ajay, I have a D-LINK 2730U ADSL2 router. It is 2.4Ghz. I want to buy a chromecast. I want to know whether the new chromecast 2015 which supports 5Ghz is worth waiting to launch in India (considering my router is just 2.4Ghz). Or Should I just go for the existing chromecast which supports 2.4Ghz. coz my router anyway cant provide 5Ghz signal? I am looking for an affordable Wi-Fi router, USB capable. I would like to flash the router with DD WRT so I can connect a hard drive for file sharing (like a NAS). Any recommendation for a router to do that?